Only now I managed some time, two finish my 2 cents about the first images known from the 1H2011 LEGO Technic sets. As we all know from the past seasons, such preliminary images are based on CAD models usually developed so early in the design process that a lot of things in the final model may have changed meanwhile. Often these 3D models are using "quick-fix" files modeling the new parts, so that the Art Directors have something to work with. Thus, there are often small mistakes or missing details, not so important to develop the retailer catalogs or first box mock-ups. At least unlike what usually happens with the 2H sets, we shouldn't need to wait too long to see photos from the real models and take more accurate conclusions. Hopefully already at LEGOWORLD in Zwolle, the latest. Below the photo from an Italian dealers catalog with a few Technic sets for the 1H2011. Again it makes me wonder that in many cases, we're getting at each half, larger and more complex versions of the same machines we have gotten in the previous semesters. So let me speculate a bit and say - Could this mean that we may expect for a new flagship Excavator, in the years to come. At first we notice the same large front shovel and small rear bucket, as used in the mythic 8455 (the last Back-hoe from LEGO, released in 2003). While they fit nicely on the predecessor, the bucket looks quite small on the actual model which seems to be smaller or almost the same size as 8455. So this 8069 image, may have suffered some kind of distortion. In second place we notice immediately something new, that looks to be mini-LAs (Linear Actuators). In the midst of some excitement from some and skepticism from others, the main discussion at the moment seems to focus on whether these mini-LAs are fully functional or rather dummy versions (friction cylinders similar to those introduced earlier into other themes, 53586). Personally I believe it wont make any sense to use dummy LAs into a Technic model, when they are used on the main functions the model exhibits. At the image we also clearly see one 20t bevel gear in tan color and another tan 12t bevel gear, into an identical setup to that one used into 8294 or 8043 (despite there the 20t bevels being idle gears). Despite the several possible justifications raised for the gears existing next to these LAs, I still believe they are functional LAs. Also the explanation given by Daniel in the comments which is quite hard to see because of the watermark in the image, seems to be conclusive IMO. I tried to make it clear on the photo below, where of course I've used one of the old LAs. Of course we shouldn't expect them to support significant loads (as their big brothers does...), to have large courses but it still seems plausible they are very capable to deal with the loads produced in this model. Because of its apparent size, it is also a potential mystery how such a small LA internals could have been designed (with or without internal sleeve), but certainly there are achievable technical solutions, like some advanced also in the comments to this post. It remains to know, whether the mini-LA rod is a metallic or a plastic one. Here I bet on the plastic solution, but won't be too surprised if later I'll find it is metallic. From all the considerations above it comes obvious that despite a smaller LA (shorter and thinner), it is still 3L wide on the bracket section as its old brother. I'm afraid it may look somehow not proportional or difficult to make if fit, for many possible applications. Regarding the bracket, it doesn't seem to be detachable in opposition to the previous LA, which also seems a pretty obvious choice due to its smaller scale/space impositions. Because of that, mini-LAs seem to be a single piece of plastic and thus made in one single color (likely LBG as far as we can see). Some already complained from having the mini-LAs in this model, almost directly linked to the respective operating wheel. However could we expect much more from a mid-range / mid-size model, with limited available space for gearing chains? This is where pneumatic cylinders are strong and useful, if applied into such LEGO models..
Front arm lower/raise and shovel tilt. Likely a single combined function controlled from a knob in each side of the model and probably connected together with a pass trough axle. Two mini-LAs controlling the backhoe. One for the arm and another for the combined movement from the dippers and the bucket. The bucket looks coupled to the dipper with a 64451 Technic Link, like in 8047. It is however unclear from where these are actuated, as there is only one extra knob on the cabin roof. The roof light is likely not used as another knob. Maybe all the backhoe movements are tied together to a single knob. Again not surprisingly for a 50€ set. It remains still unclear whether the backhoe can rotate over the vertical axis or not, but due the mechanisms to drive the mini-LAs we must be prepared to accept it won't. As for the outriggers, I have no idea how these get adjusted, but probably it is done manually. These makes a total of 4 mini-LAs (2 in the front arm and two in the backhoe). For its size and price, it looks a nice set to play with! Apart from the mini-LAs, no other new parts foreseen so far. This seems to be a nice looking small/mid-scale model, however the resemblances to the 2010 helicopter (8046) are too much. One of them should at least to have a different color scheme. 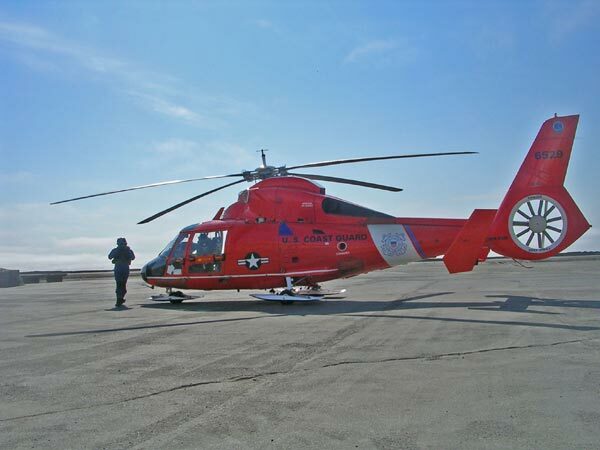 As the US Cost Guard helicopters are indeed red colored in the most cases, then maybe the former one should have had different colors. The model has however a strong adherence to the shape of real Rescue Helicopters. the main and tail rotors. a set of landing gears. As some already noticed, indeed it seems we got back the Fiorano wheel covers into a tail rotor. Likely this is one more evidence that this nice part is back into a new large car, than it won't. Like it happened with the Excavator (8043), I just expect we also won't get a STAMP (STicker Across Multiple Parts) on the white fairings, just below the main rotor. Th cabin is red! Can you see it? IMO there is a strong possibility it also includes one mini-LA, to raise the Dump. Now it rests to pray, for images from the 8065 (Mini Dump Truck), 8066 (SUV), 8067 (Mobile Mini-crane), and obviously the 8070 (Super Car). Are those mini LA's i see? I don't like the look of those. I don't see how there could be enough space for the bevel gear to mesh with anythin. Also, the bucket of the rear arm is not connected to any mechanism but appears to have another of these "mini LAs" so my guess is we are looking at a simple guiding/friction piece. Well, so far it's one hit and one miss regarding my my speculations... the helicopter is indeed red and white, but what appears to be mini-LA's instead of pneumatics on the backhoe completely caught me by surprise! I suspect those have the same relation to their bigger cousins as small pneumatic cylinders have to large ones: able to provide movement in small spaces, but at reduced torque. If big LA's get damaged by heavy loads, these should definitely stay away from them! Isn't that the FIORANO wheel cover I see in the tail part of the helicopter? I am really curious about the mini LAs. I see the gear next to the LA, but it may simply be used to mechanically lift the arm and the "actuator" is just for show. I can definately see 4 'mini LAs'. The exhaust pipe is used for turning something. The small bucket is moved by a 'Technic Link 9L Bent 6:4'. And I'm a believer in mini-LA's: if they're all-plastic (like what happens with the small pneumatic cylinder/pump), four of them might fit in with the 49.99€ tag. Its a small LA alright, why else would it have a 20 tooth bewel gear? Rear bucket reminds me of the compact excavator mechanisem. Maybe there is a new gear inside which is propelled by 20 tooth one? At first it looked like the mini LA 'bracket' only had one set of holes, in which case the 20t bevel gear would not make sense. On closer inspection, there is a 12t double-bevel gear and a bush attached to a light grey axle which goes through the second set of holes, and through the 20t bevel gear. It is quite hard to see because of the watermark, but is definitely there. The 3rd and 4th LAs which I mentioned are located under and above the first section of the backhoe arm. Do I see a new steering wheel? Seems to have thinner spokes than regular one. Mechanicaly I think this just a frictional/for looks part. There is no way there is ehough room inside the outer tube to have a threaded gear to sleve. If you look at the weight of the bucket as compared to size of this sudo La. Even the real one would be a "bairly can do". The cost of making a real mini La would be more than the big ones as well. Since anything less than all metal parts in such a small design would be even more recalls. 100% sure on this one. Look at the 24 tooth gear, why would you gear up to what could only be a 8tooth? at 1:3 the loading of the La would be way out of the "how do you gear for torque loading". I do not see a 24 tooth gear. Maybe you are referring to the 20 tooth bevel gear? An 8 tooth bevel gear does not exist, so the smallest possible gear driving the LA would be a 12t gear. Here the ratio is 5:3. I agree that there doesn't appear to be enough space inside the LA. Maybe the 'outer tube' rotates instead, acting as a sleeve? Esta escavadora até podia ser o teu presente de aniversário!!! I believe it to be the inverse of the larger LAs, with the extending part being the tube, with a threaded rod running up the middle of it. The exhaust rotates, most likely moving the front bucket. Considering my increasing dislike for the larger LAs weather they work or not, I think i'm gonna avoid spending money on sets with LAs of any size. dude, those are DEFINITELY mini LAs. they have to be. I mean, what sort of technic set has dummy pistons? If Al's theory on how the LA works is correct (which I think it is), the LAs could actually be quite strong, as there is very little space between the LA's extending part and the LA's housing. I will buy 1-3 of this set, depending on how many LAs 8065 and 8067 have. Also, apart from the HOG steering, there are two knob-turning functions outlined in the diagram, one which is the exhaust, and one on the side of the front which seems to be in-line with the axle that the 20 tooth bevel gear we suspect to be attached to these newer small linear actuators is on. It would not require some magical feat of engineering to design a small sized linear actuator. The exhaust probably controls the bucket tip, which would mean that the black axle joiner near the rear of the vehicle which I assume would control outrigger deployment. Which just leaves two more undiscovered knobs to control the rear digging arm. First impression of the backhoe: wow. But on second though: hmmm. The mini LA's are operated almost directly with the operating wheel next to them. Not much ingenious gearing. Okay, this is a 1H2011 set but I'd rather have a huge flagship backhoe. Chopper looks okay. Probably dummy ones similar to those used in the 8996 bionacle set. I also really do not think that Lego will be using a recycled Ferrari wheel cover for their new "Supercar"
Why would Lego make dummy pistons with a 3L wide bracket at the end?! It looks too unrealistic to be a dummy. I gotta say, even though the helicopter doesn't have any particularly interesting features, I do think it looks much better than the 2010 model. What I'd really like to see, though, is a large motorcycle, like the 8420, that has a working shifting function, or a helicopter with tilting rotor, similar to the 8444. I bet the Technic Designers at TLG *love* reading all of us comment/guess at things, as soon as a small snippet of new sets/parts appear! It must be quite amusing to see everyone here make wild guesses at everything! There's a black axle joiner just behind the mudguard over the rear wheel - must be what controls the outriggers. I'd say it has 3 LA's, not 4. 2x for the front, 1x on the back. The mini-LA is quite interesting. It will be good to see some force tests to compare it to the normal LA. For some reason I get the feeling this will compare better to pneumatics than the normal LA. Hi, look at this http://img215.imageshack.us/img215/2912/supercar8070.jpg :-) Very much thanks to Nausciaakro from EB! That's a possibility that shouldn't be discarded, but I don't think such a glaring difference from the final product would appear at this stage. The bucket is lifted by simple liftarms not by an LA. The bucket appears to be actuated by rotating the exhaust pipe, likely via a worm gear on the bottom of the exhaust. The raising and lowering obviously by the 12t double bevel gear sticking out the side. Steering appears to be via the "flashing light" on the top and the outriggers operated via the 12t double bevel gear behind that. The rear digging arm looks to be operated via the black axle extender sticking out behind the rear wheel and there will probably be another on the other side controling the other function of the rear arm. Turning knobs for LA's is just awful, i really wish Lego would drop them, they are slow and unnatural. They need to go for proper cranks. It is on the helicopter's tail, but most definitely appears to act as a cover for the rotor instead of the actual rotor, like in this pic. It would be preposterous for a Technic helicopter in this price range to not have a functional tail rotor, especially considering this year's smaller heli has it! "Turning knobs for LA's is just awful, i really wish Lego would drop them, they are slow and unnatural. They need to go for proper cranks." I agree, however, given that the knobs seem to be geared UP, (20 tooth bevel -> to 12 tooth bevel) This shouldn't really be a problem. Is it possible to make the ldraw files available for download when you publish the post? Alexandre might answer himself, but I bet these are not LDraw files, but 3D sketches made with Rhinoceros from Autodesk, or equivalent. I can see the tan 20t bevel gear inside the new LA bracket, but I can't see the 12t bevel gear needed next to it. However if there is one, it would be visible, cause it's bigger than the tube of the LA. There has to be a new gear! 8t bevel gear? Maybe this gear is fixed to the LA. Furthermore with a 1L wide bevel gear the bracket of the mini-LA is going to be 2L wide. I bet on this. A small portion of the 12t bevel (from the back), can be clearly seen on the image, if you zoom it. Those are definitely mini LAs!!!! @Daniel: Yes, those are sketches made in Rhinoceros.